By default, as you place a point the Name will match the Feature Definition name. This can be seen in the Tools Setting dialog. Prior to placing the point you can change the Name to a number (300) and when the point is placed the number is assigned. Once the geometry point has been placed you will see the point number in the pop up. If you want to change the number you can open the Element information or Properties dialog and change the Feature Name. If you would like the point to be annotated with the point number you could consider using Insert Fields to do so. 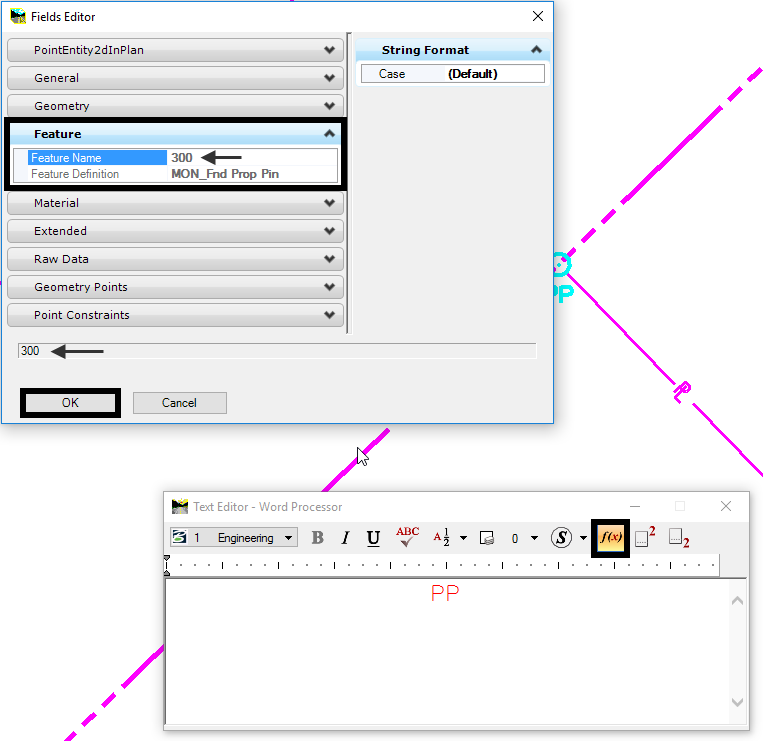 Go to the Drawing Tasks and Edit Text and select the text. The Text Editor dialog will appear. Select the Insert Field icon to select the point and use the Feature Name as the value. After you are done you will have an annotated point that will update when the Feature Name updates. Note: OpenRoads will not allow you to have duplicate numbers so if you already have a point 300 it will take the next available number above 300. It works similarly to the InRoads Geometry Point Seed Number.